A subtle gin created with the zest of pink grapefruit and local honey, infused with aromatic fresh English basil. 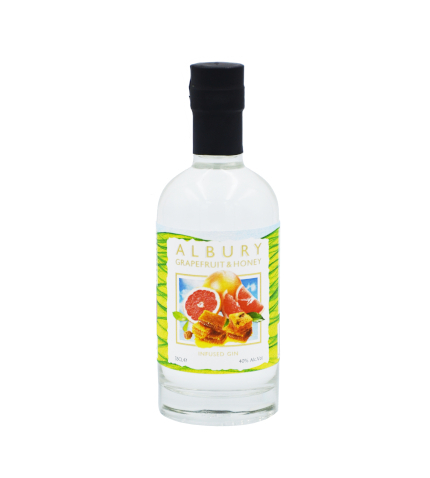 Our grapefruit and honey gin expresses a refined basil nose with intriguing juniper undertones. The flavour is accessible, complex and dry, showcasing a luxurious honey mouthfeel balanced by refreshing grapefruit citrus notes. Serving Suggestion: Combine 35ml Grapefruit and Honey Gin, 15ml Campari, 50ml Pink Grapefruit Juice, 10ml Honey and 5 leaves of Basil. Shake hard with ice, pour into a high ball glass and garnish with more basil for a dry yet fruity summer cocktail to enjoy the long, warm evenings.